Home » Olahraga » New Madrid coach Jurgen Klopp ? The future of Carlo Ancelotti as coach of Real Madrid continues to be a hot rumor today. Italian coach is rumored to be sacked following the failure Madrid won the title in the 2014-15 season. In fact, before Ancelotti has offered four titles, including the Copa del Rey, Champions League, European Super Cup and Club World Cup. So who substitute Ancelotti if Madrid really kicked? Media Spain, United States, Tuesday (19/05/2015), Deutschland Radio report says Jurgen Klopp will be the new coach of Los Blancos next season. The 47-year-old man was going to join the three-year duration of the contract worth 8 million euros, or Rp 117.4 billion per year. However, news of the new coach Klopp Madrid will not be officially announced until the match with Wolfsburg Borussia Dortmund in the DFB Pokal final on 31 May. 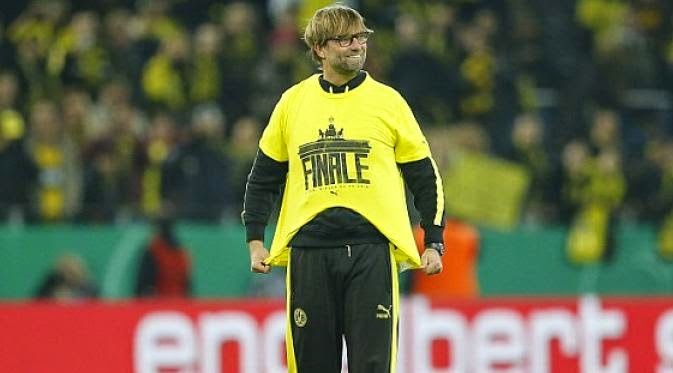 As reported earlier, Klopp decided to leave Dortmund this season after seven years coaching the club. With Dortmund, he won two Bundesliga titles and reached the final of the Champions League. Klopp will replace Ancelotti rumors could be true. For the same day, the Gazzetta dello Sport published an article that mentions if Ancelotti will return to AC Milan to replace Filippo Inzaghi this summer. 0 Response to "New Madrid coach Jurgen Klopp ?"